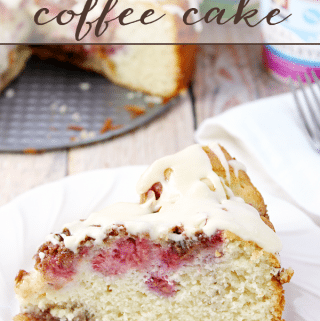 This Raspberry Pecan Coffee Cake is perfect for a weekend brunch! The recipe has a tender cake with plenty of raspberries and a crunchy topping! My family looks forward to Sunday morning. It’s the only day of the week that I actually cook breakfast – and my family (not me, though!) are really big fans of breakfast food! Among our favorite Sunday breakfast recipes are Sausage Gravy and Biscuits, Omelets with a side of Hash Browns, any kind of waffles or pancakes … and coffee cake. Although I’m not really a fan of breakfast, I do like to have things that are quick and easy for me to make throughout the week – and let’s be honest, toast gets old after awhile! While shopping, I am always looking for new things that my family can enjoy. 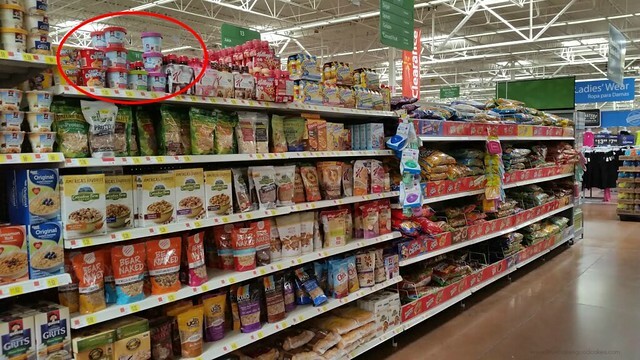 While shopping at my local Walmart, I ran across the NEW Quaker® Real Medleys® Yogurt Cups. You will find this product in the cold cereal aisle. Have you ever seen or tried them?! I have seen nothing like this before and was excited to try them!! 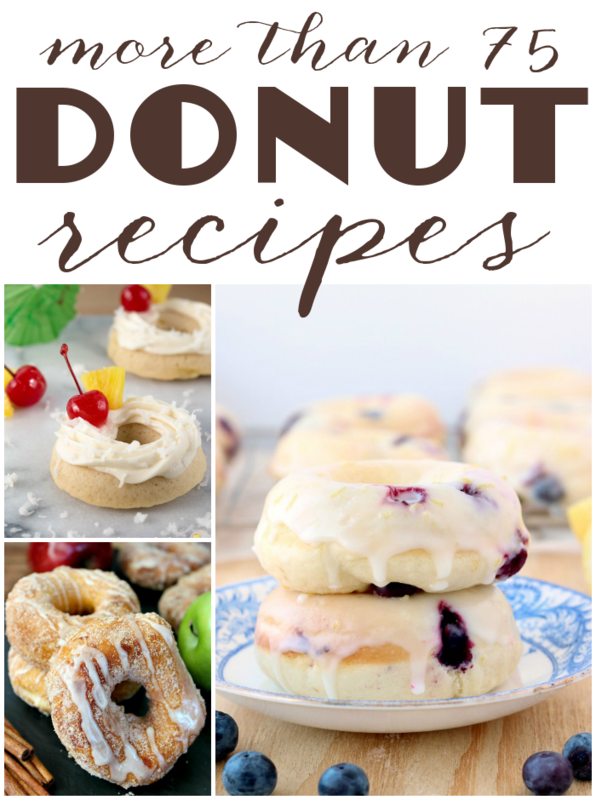 Since my breakfast is usually something quick and easy – and I thought these would be great to try! 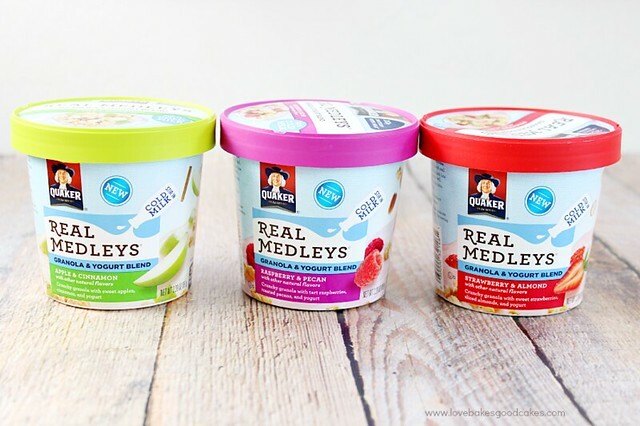 Quaker Real Medleys Yogurt Cups are the first shelf-stable convergence of granola, fruit, and yogurt – all in a single serve cup! 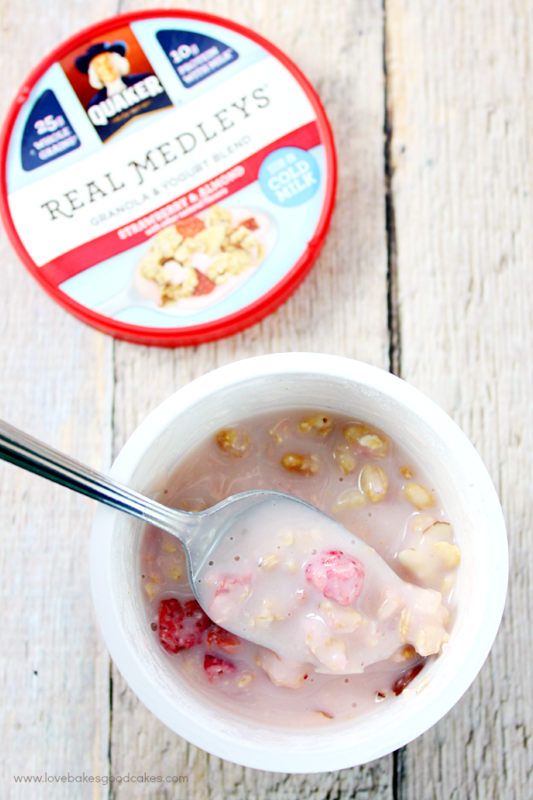 Real Medleys is a delicious blend of yogurt and multigrain granola with real fruit and crunchy nuts. Real Medleys are filled with real ingredients that offer quality and convenience for breakfast. It is satisfying and delicious with 25 grams of whole grains and 10 grams of protein with 1/2 cup of cold Skim Milk. 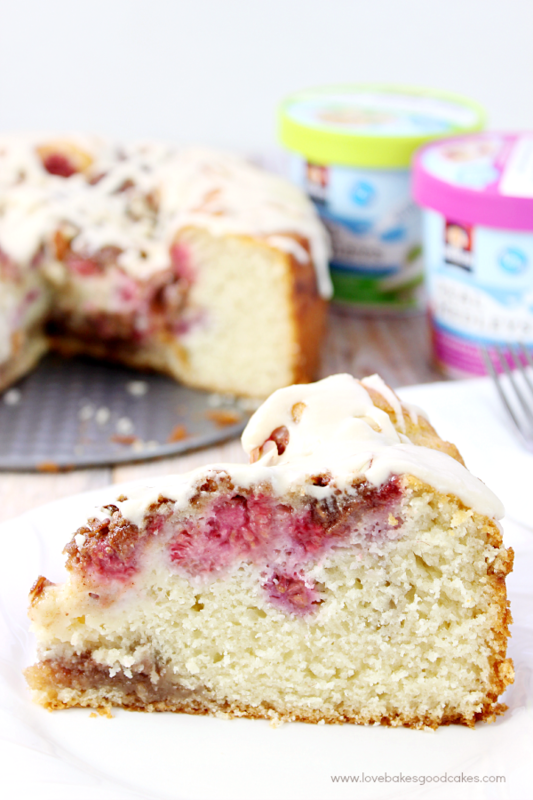 When I saw they had a Raspberry Pecan flavored cup, it immediately reminded me of my Raspberry Pecan Coffee Cake! 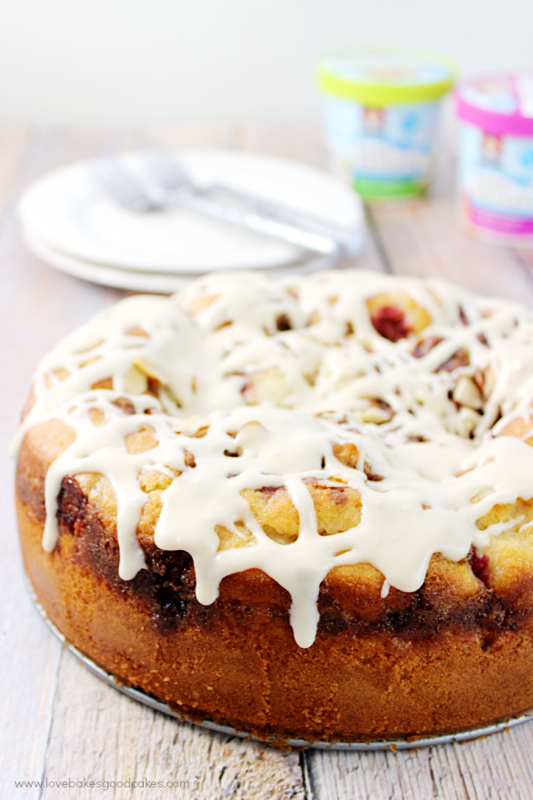 Not only would a slice of Raspberry Pecan Coffee Cake make a great accompaniment to the Raspberry Pecan flavored Quaker Real Medleys, but the Quaker Real Medleys would be fantastic the rest of the week for breakfast once the coffee cake is gone! For the Quaker Real Medleys, by simply adding cold milk (note: it won’t activate with warm milk), the dry ingredients transform into a tasty yogurt treat! Crunchy. Cool. Yum. Quaker Real Medleys comes in several delicious flavors and is a satisfying way to get some of your whole grains in for the day. The flavors include Strawberry Almond, Apple Cinnamon, Raspberry Pecan. Be sure to download the Blippar app from your Apple or Android store to scan your package and receive information tutorials on Quaker® Real Medleys® Yogurt Cups. You may choose to eat this warm ..... or let it cool to room temperature. The choice is yours! 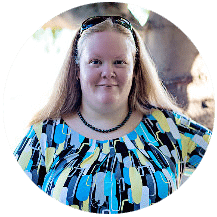 Store any leftovers in a covered container - the fridge is best if it will be more than a day - on the countertop should be fine if it will be eaten in less than a day! I am not an expert, though - so use your best discretion!! Preheat oven to 350°F and spray a 9-inch spring-form pan with non-stick cooking spray or coat with Miracle Pan Release. Set it aside. 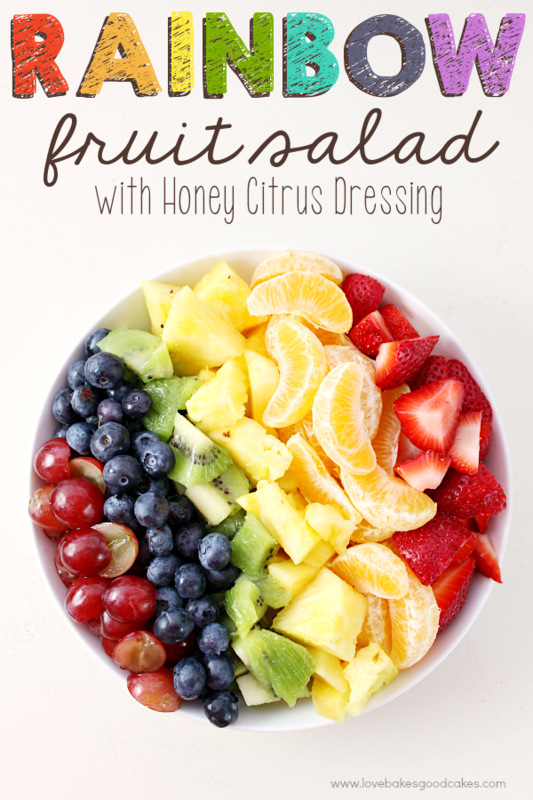 In a large bowl, beat the eggs with an electric mixer for about two minutes. Add the milk, oil, vanilla, and Greek yogurt. Mix until thoroughly blended. Stop the mixer and add flour, sugar, baking powder, salt, and baking soda. Continue to mix until it is well combined. 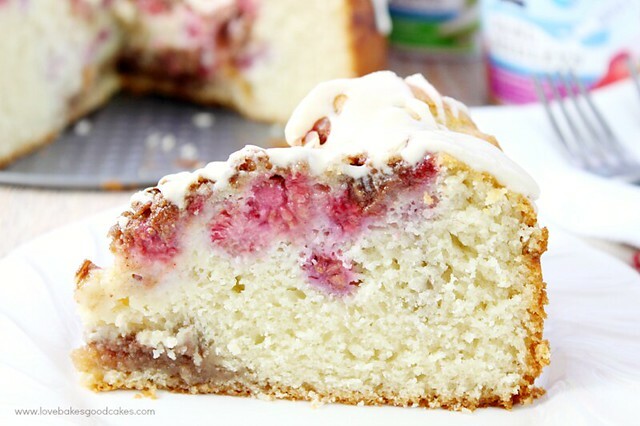 Place the raspberries on top of the batter. Swirl gently with a knife making an "s" shape one direction, then turning the pan a quarter of a turn and making another "s" shape. In a medium bowl, stir in the melted butter, brown sugar, cinnamon, flour and pecans. Spoon the topping evenly over batter. Bake in preheated oven for 55-60 minutes or until golden brown. Allow to cool for 10 minutes then loosen the side from the pan and remove. (Run a knife along the edge if necessary). While the cake is cooling, melt the butter in the microwave. Add the vanilla. Slowly stir in the powdered sugar (it will be crumbly, but don't worry). Add the milk, one teaspoon at a time, whisking until you get a smooth and creamy consistency. Drizzle the vanilla icing on top of the cake. Be sure to check out more delicious recipes with Quaker Real Medleys Yogurt Cups at QuakerLove.com. I’d love to hear your favorite! For the latest news, special offer and more recipes, follow Quaker on Facebook, Twitter, Pinterest and/or YouTube. 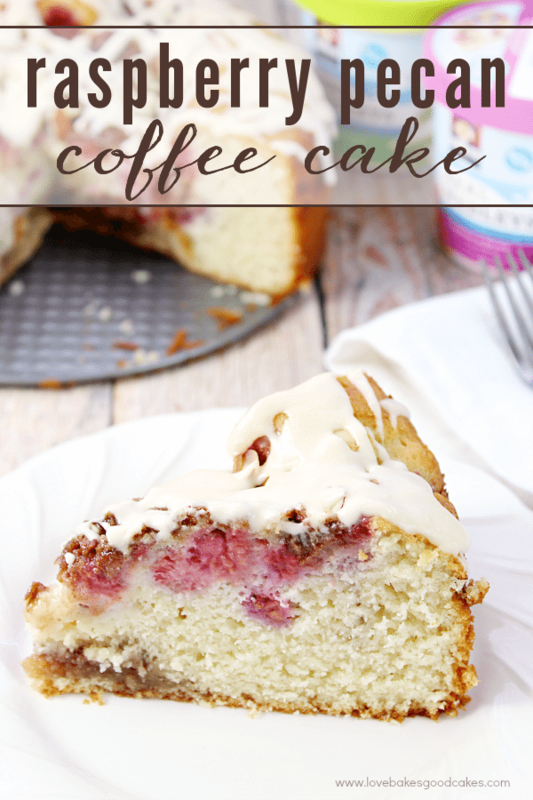 You just totally made me crave some coffee cake. 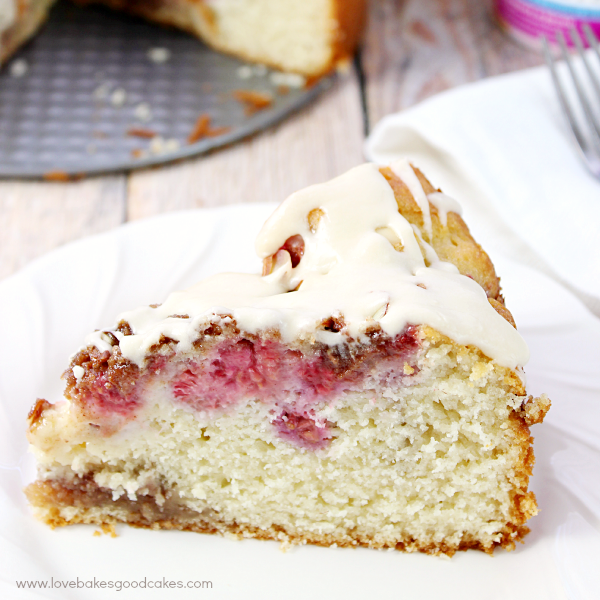 I love that frosting and those raspberries – YUM! Pinned! I've got to quit reading blogs before breakfast. This would pair so well with my cup of coffee this morning. 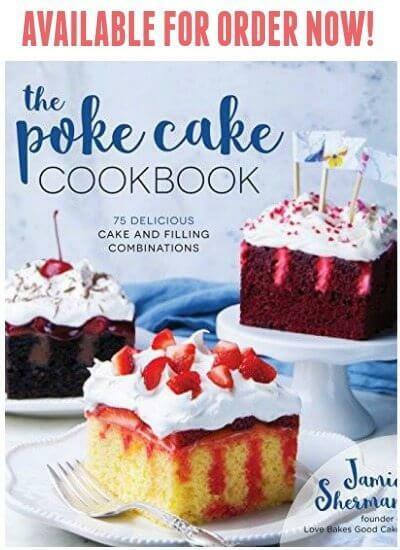 I'm so hungry after looking at so many yummy recipes!